COLUMBIA, S.C. (AP) — Scientists studying the world’s first submarine to sink an enemy ship said Wednesday that the doomed Confederate crew did not release an emergency mechanism that could have helped the vessel surface quickly. The 1,000 pounds (454 kilograms) of what are called keel blocks would typically keep the H.L. 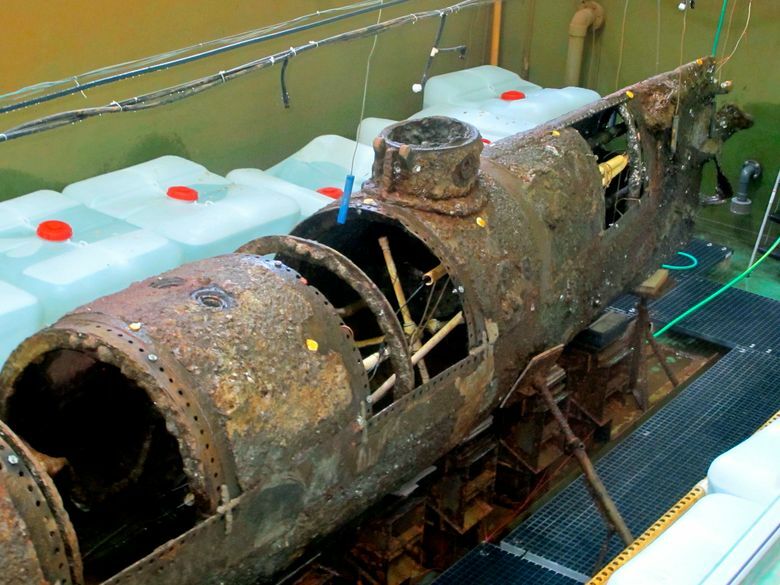 Hunley upright, but also could be released with three levers, allowing the sub to surface quickly in an emergency, said archaeologist Michael Scafuri, who has worked on the submarine for 18 years. Scientists who removed the century of corrosion, silt and shells from the submarine found the levers all locked in their regular position, Scafuri said. “It’s more evidence there wasn’t much of a panic on board,” Scafuri said. The Hunley and its eight crewmembers disappeared in February 1864 in Charleston Harbor shortly after signaling it had placed explosives on the hull of the Union ship the USS Housatonic. Ever since the Hunley was raised from the ocean floor in 2000, scientists have worked to determine why the sub never returned to the surface. 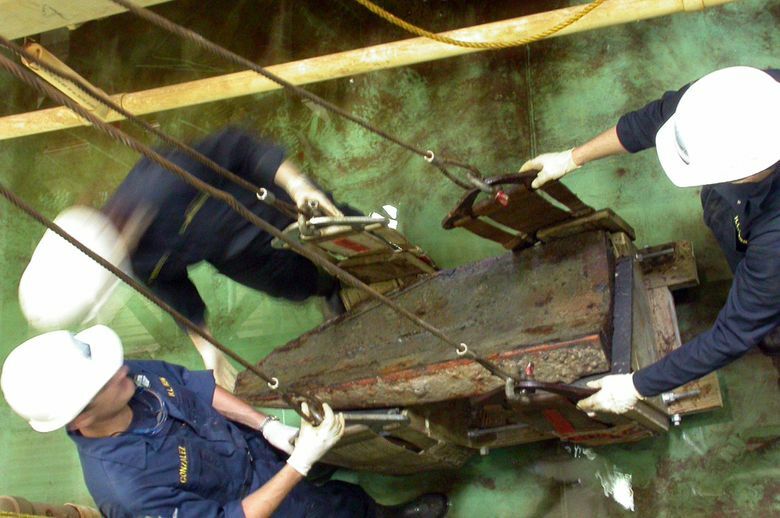 The keel blocks don’t give a definitive answer, but do provide clues that either the crew didn’t think it needed to surface quickly or never realized they were in danger. The crew moved the submarine through the ocean with a hand crank, and one theory is they were resting on the ocean floor 4 miles (6 kilometers) from shore waiting for the tide to turn to make their journey back to land easier and ran out of oxygen or got stuck. But there are other theories such as the Housatonic explosion knocking out the Hunley’s crew or a ship that sped to help save some of the crew on the Union ship clipping the Confederate sub and crippling it as it tried to dive. Those theories can’t be ruled out — at least not yet and maybe never, said Scafuri, who planned to work on the Hunley mystery for a year or two as a graduate student in 2000 and is now entering his 18th year helping conserve and study the submarine which is stored in chilled, fresh water in a 75,000-gallon (283,900-liter) tank in North Charleston. “I would love to get to that point absolutely,” Scafuri said when asked if he thinks scientists will ever know exactly what happened inside the sub, which was just 40 feet (12-meters) long and so small the men couldn’t stand up straight as they turned the crankshaft. “Can I promise that? No,” Scafuri said. 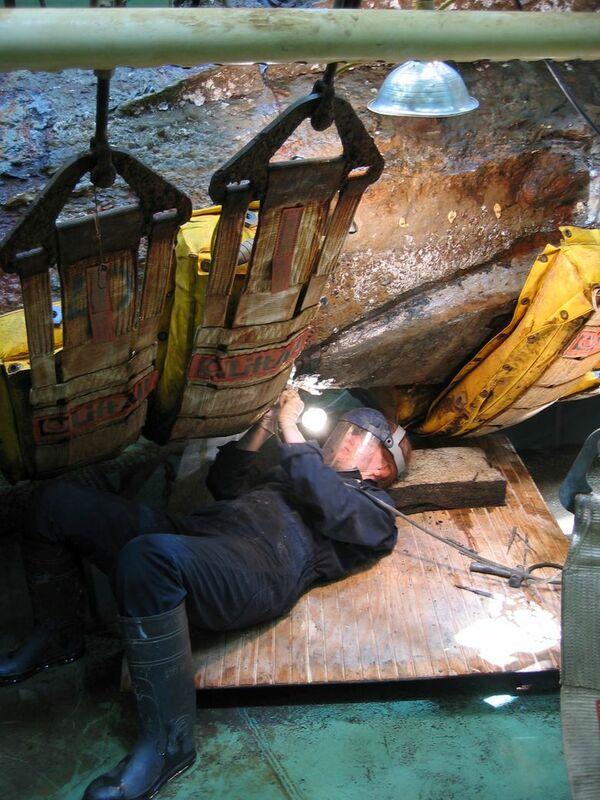 The next step for scientists is to remove more of the corrosion, slit and other material collected on the hull. Over 18 years, Scafuri said they have uncovered nearly a dozen artifacts , reconstructed the faces of the crew members and gained more knowledge about the science behind the submarine, which was built in Mobile, Alabama. 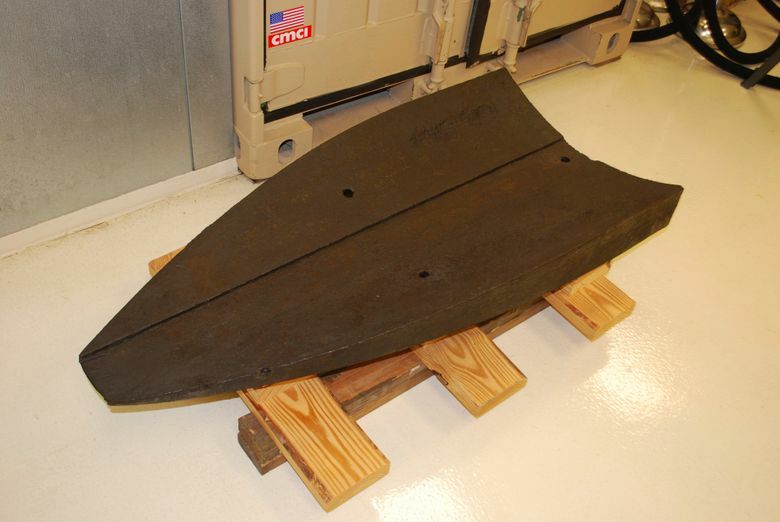 The keel blocks go on display at the Hunley’s North Charleston museum Saturday. This story has corrected that the submarine was lifted from the ocean floor in 2000 instead of in 1995, when its wreckage was first discovered.